It’s really good location, in the hart of Warsaw. Nice personnel, easy access. Good equipped apartments. Placed in the center of the old town, very easy to visit all tourist attractions in Warsaw. Easy to check-in and out. Clean and nice place, good wifi. 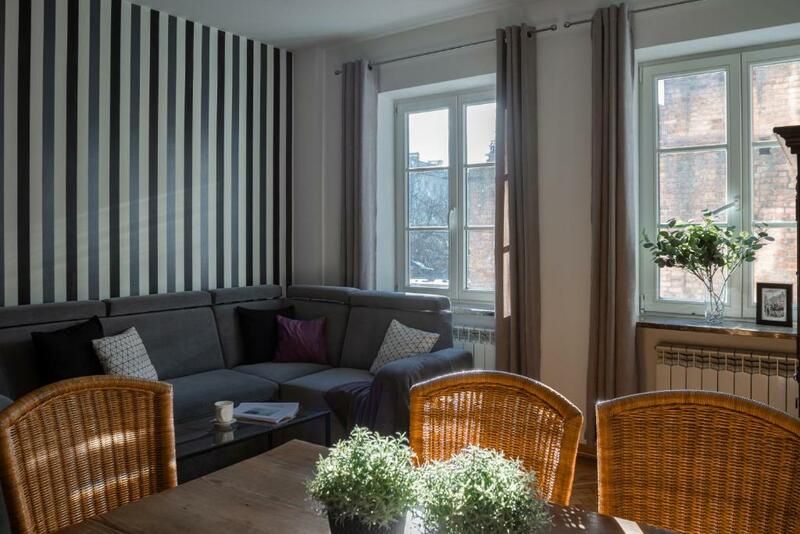 Good location, right in the Old Town, easy acces to the airport (Uber works great in Warsaw) Easy to get into and leave the appartment, with the key box and all the instructions they provided via email. 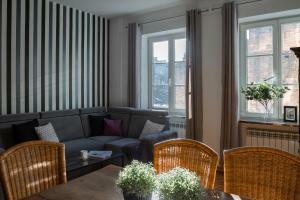 Great location , at the heart of the Old Town City Center. Nice , convenient apartment. Two minutes walk from market square and the castle, it is possibile to park nearby. Comfortable flat. The location, cleanliness, environment. Good conditions for a pet. Świetna lokalizacja, blisko stacja roweru miejskiego, park, Starówka. Dobry kontakt z właścicielem. 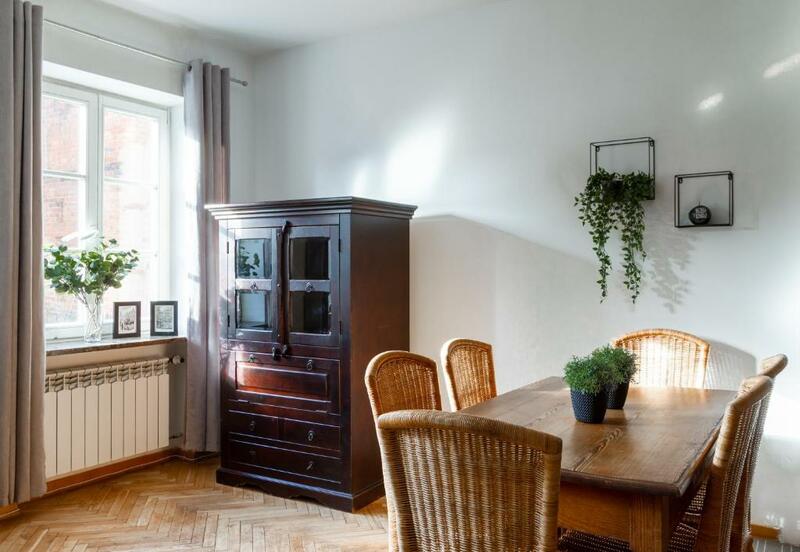 Apartament czysty i dobrze przemyślany-jest wygodnie i wszystko, co potrzebne, jest na miejscu. Wrócimy. Lock in a great price for Rycerska Apartment Old Town – rated 8.3 by recent guests! 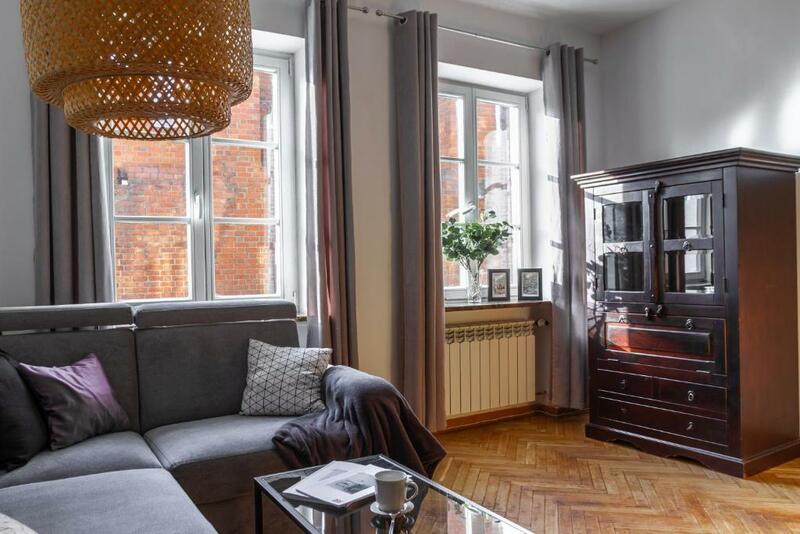 Rycerska Apartment Old Town is located in the heart of Warsaw’s Old Town. It has a living room with a fully equipped kitchenette and an private bathroom. There is free Wi-Fi. The apartment offers a sitting area with a sofa bed and an armchair, where you can watch cable TV. 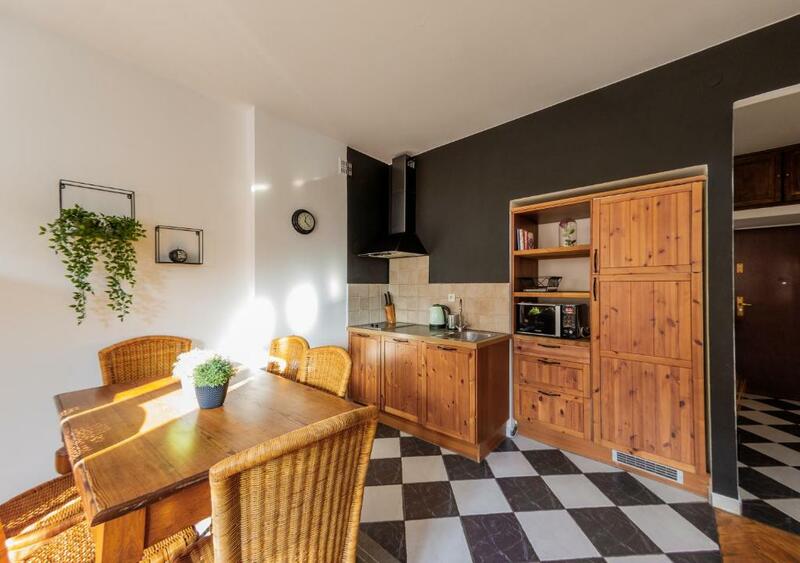 Here you can also find a kitchenette equipped with a refrigerator and a dishwasher. The bathroom features a washing machine. Rycerska Apartment Old Town is located near Podwale Street, very close to the Royal Castle and many other attractions of the Old Town. With frequently running busses, you can quickly get to the business and shopping areas of the city. 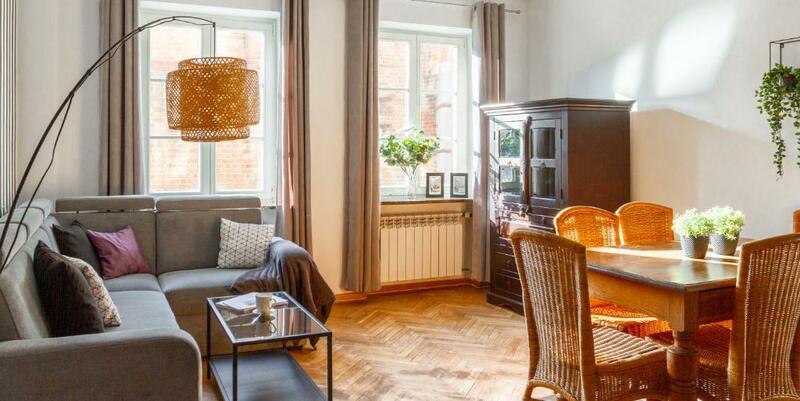 뀐 Located in the real heart of Warsaw, this property has an excellent location score of 9.6! When would you like to stay at Rycerska Apartment Old Town? Elegant apartment with a fully equipped kitchenette, free Wi-Fi and a seating area with cable TV and a sofa. Private parking is available at a location nearby (reservation is not needed) and costs PLN 60 per day. We provide apartments to short-term-rent from 2007. We are the best alternative to hotels, not only for reasons of cost, but also for comfort and convenience. We offer a range of accommodation in the best locations and at the best prices. We are fast, flexible and reliable. Looking for lowest price accommodation? Search no more: big savings, cheap apartments, with WIFI internet included. Your quest for great discounts and beautiful apartments ends here. All apartments are completely furnished and supplied with clean linen and towels. Basic home appliances are provided: refrigerator, TV with remote, washing machine, CD radio, WIFI internet, iron and ironing-board. Luxury apartments are equipped with air-conditioning, DVD and music centre, dishwasher, microwave, etc. In addition, we can provide food and drink for you in your apartment, ready for your arrival. House Rules Rycerska Apartment Old Town takes special requests – add in the next step! Rycerska Apartment Old Town accepts these cards and reserves the right to temporarily hold an amount prior to arrival. Please note that the property has no reception. The apartment keys can be collected in the apartment or at a self-service check-in (the apartment keys are in a code box attached to apartment’s door). If guests need help form the property's representative for check-in purposes, they are kindly asked to contact the property in advance in order to arrange their arrival time. 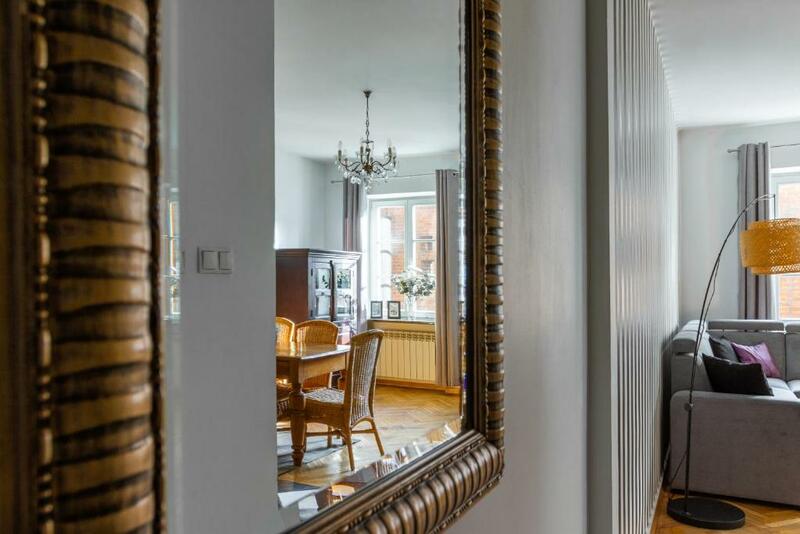 - Check in with property's representative till 5pm costs additional 30 PLN. 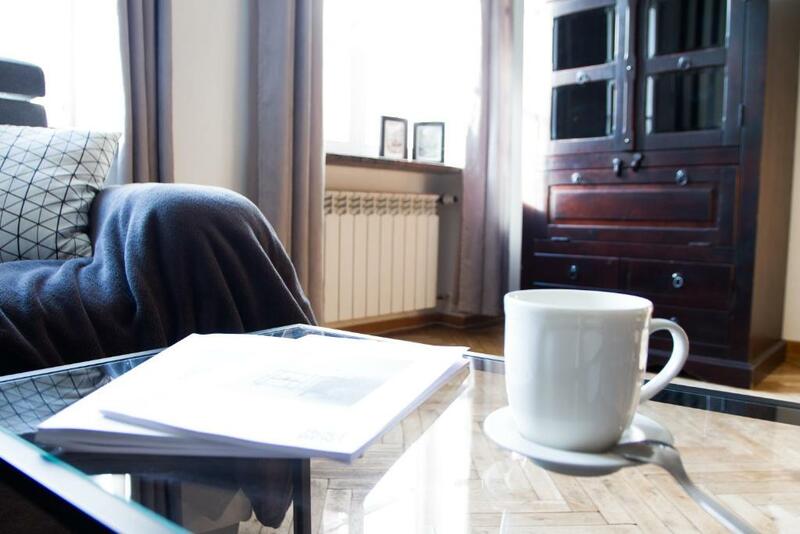 - Check in with property's representative after 5pm costs additional 50 PLN. Please note that the apartment is located on the 1st floor of a building without a elevator. Please inform Rycerska Apartment Old Town of your expected arrival time in advance. You can use the Special Requests box when booking, or contact the property directly using the contact details in your confirmation. Sheets for the living room bed are missing. A bit of adventure the use of given directions of the agency, to locate the apartment and get in. We did not received any instructions on how to get to the apartment. At midnight, we called the host. After an hour we received the key box code. There was no WI_FI . Bed buggy and uncomfortable sleeping. We could not sleep for two nights, because we heard a neighbor's dog. The closet is too close to the wall. On Saturday morning, at 7:30 am, the builder was noisy. Great place in the city. The apartment is warm. Room was not clean as expected. With so dust and not fresh air, that we had to let window open for some time.Toilet was not clean as expected. Host was not helpful with checkout. Although I texted them asking to please let my lagguage and checkout latet ,they didn't reply. No customer focus. I am sorry. Misleading price. Offer in booking.com was 66 euros, but the voucher we received included 9 euros cleaning fee.